In September 2016, just one day before school began, I received a phone call that I was diagnosed with breast cancer. A cancer that required multiple treatment modalities ~ and treatment which required me not to work. As a single parent, and a caregiver of two elder adults, I was in a panic....not just for my health, but how I was going to cover the basic needs of living, and medical insurance. While standing in my kitchen, my daughter, Lauren, told me that there was a nomination by my former students for SJ5K. I had no idea what that meant, but I was grateful. As I learned about SJ5K, I was both humbled and embarrassed that I should need so much help. But, still, I put my own pride aside and thankfully accepted the nomination. As medical bills and surgery co-pays, and life just 'piled' up, I felt a sense of panic even more. Trusting that God would take care of this, I put my faith in Him, and focused on my health. The SJ5K team became an extended family to me, encouraging me both verbally, emotionally, and financially. Their worked changed my life, as their efforts and fun-raising efforts covered my medical expenses which weren't covered, including an additional surgery I wasn't expecting. Without the SJ5K team, I shudder to think where I would be now as I pick up the pieces and put my life back to together. Grateful to God for my health, as I am Grateful too for the SJ5K Team: They did for me what I could NEVER have done for myself. I am blessed and humbled to have been a recipient. As I begin my 'new life' as a math/science teacher at Discovery Middle School, I am passionate about giving back to SJ5K for all that they given to me, and by extension what they have given to my family. God Bless you all, and GO SJ5K! "When I was diagnosed with cancer I didn't know how to feel or what to do. Being nominated to be an SJ5K recipient family in 2017 made me feel that I belonged to something that gave me a sense of hope, and that I had more support than I could ever imagine. My family and I are so grateful for what the SJ5K has done for us and we are looking forward to supporting the cause once again this year and for the years to come." 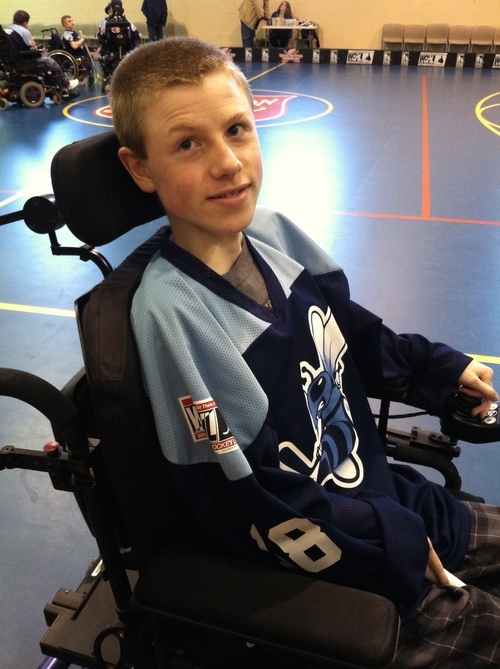 “The support of the P-CEP family was invaluable in Max's last struggle with Brain Cancer. The support of his organization maxyourbrain.org has been a positive outcome of his ongoing struggle with cancer.” Max is doing well and enjoying his senior year at Grand Valley University. He will be graduating with a degree in Marketing with a focus on non-profits. He continues to work on his non-profit organization, maxyourbrain.org, bringing awareness and research dollars to brain cancer research. 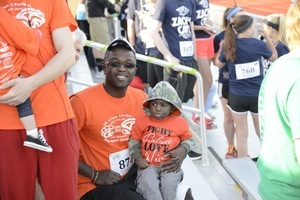 “The SJ5k felt like being showered in joy,” said Marc Whitlock, father of Macaylah Whitlock who was born deaf, with Down Syndrome, a heart defect, and Leukemia. Macaylah is now eleven years old and has battled cancer her whole life, but is a strong girl who is facing many challenges." “The experience was humbling and freeing at the same time. When health issues take over your life you often feel alone. Seeing all of the people who want to have a part in helping that feeling go away helps change your perspective.” Zach is doing well, loving school & the people around him there. “When I was told I had cancer, my world stopped. I thought I was toast. I felt so alone and helpless. I trusted my doctors, but I didn't think I had the strength to get through all my treatments. When I was told I would be a recipient of the SJ5K walk, I felt so unworthy. But I also felt loved and supported. Being nominated showed me that I was not alone. Then that morning, when I looked out at the sea of people who were there to show their love and support for others in need, I knew that my life was far from over! When I think back on this event, I get teary-eyed because of the love that swells in my heart. I was so blessed to know I was undoubtedly supported by so many.” Sharon has successfully completed almost all of her rigorous treatment (chemo, radiation and surgery). She is due for a follow up mammogram on April 24, when she will learn if the cancer is staying away. Regardless, for the next 10 years she will be on hormone treatment and monthly injections. The Cold Cap treatment WORKED and she considers herself a very lucky girl. “Chris will always be extremely grateful for the SJ5K. Not only did he receive terrific support from the students and adults who coordinated the event, but it gave him an opportunity to realize that he is a part of an outstanding community of family and friends who is there to continue to support his road to recovery.” Chris is doing well and continues to work with a Barwis Methods trainer 6 hours a week and is getting stronger all the time.